Toronto, Canada – September 24, 2015 – 9 Story Media Group is pleased to announce that it has secured multiple sales of the award-winning animated preschool series, Peg + Cat (80 x 12’). Leading Canadian preschool channel Treehouse acquired the second season to the series, while Super RTL (Germany) along with Canal+ Family and Piwi+ (France and French-speaking territories) picked up an additional 40 episodes of season one. A deal was also secured with Canadian-based GRICS, which licensed the first season for French speaking Canada. The series originally debuted onPBS Kids in the fall of 2013 and has won 4 Emmy® awards, including Outstanding Pre-School Children’s Animation Program. The series has also been licensed to Télé-Québec, TFO (Canada), Tiny Pop (UK), ABC TV Australia, TVNZ (New Zealand), TG4 (Ireland), Super RTL (Germany and German-speaking Europe),SVT (Sweden), YLE (Finland), RTP (Portugal), MiniMini (Poland), Telewizja Polska (Poland), Discovery Kids (Latin America), Beijing Sunshine Culture and Communication (China), MediaCorp(Singapore), PTS (Taiwan), Disney (Korea), Television Media Korea (South Korea), True Visions (Thailand), TV3 (Thailand), HOP! (Israel), E-Junior (UAE), MBC Kids (Middle East), and Zee Learn (Indian Subcontinent). Netflix holds SVOD rights for multiple territories while ABC Commercial (Australia), Nelvana (Canada), Sony Music (Germany) and PBS Home Entertainment (U.S.) hold home entertainment rights to the series. The series follows the adorable spirited, Peg, and her sidekick, Cat, as they encounter unexpected problems that require fun and creative solutions. In order to solve the problems, Peg and Cat must add, subtract and apply basic arithmetic. Their adventures take them to historical far-away lands, art centers in bustling metropolises and the colorful cosmos, all the while demonstrating that it’s never too early to start learning the magic of numbers. 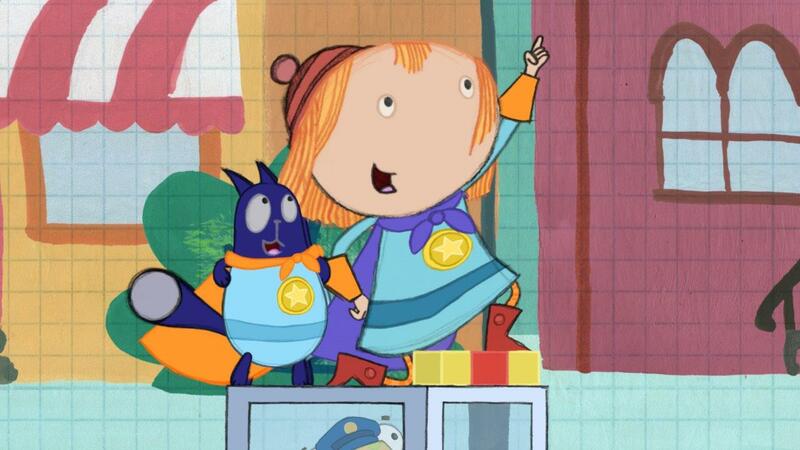 Peg + Cat is co-created and executive produced by Jennifer Oxley (Little Bill, The Wonder Pets!) and Billy Aronson (Rent, Postcards from Buster) and co-produced by The Fred Rogers Company and 9 Story Media Group for PBS KIDS. Kevin Morrison of The Fred Rogers Company and Vince Commisso of 9 Story also serve as executive producers. 9 Story, which also handles international distribution, has secured distribution in 180 countries. HiHat Media is the licensing agent within the U.S. while 9 Story manages licensing for the brand internationally. Tagged 9 Story Entertainment, Mr. Rogers, News.